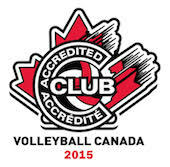 We are currently in need of coaches for various levels, such as 13U girls. We guide all our new coaches from seasonal planning to certification. This year, we even have a master coach that will be able to help throught the season. Should you be or know someone who would be interested in coaching within the Maverick Volleyball Club, please contact John Spack at john.spack@maverickvolleyball.ca. Click here for complete coaching list and teams.